Financial literacy is a valuable life skill that everyone should possess – and I mean EVERYONE, including you, with an almost empty bank account and a long list of debt to pay. Learning about money isn’t just for rich and business-minded people, because we all need this skill to be able to properly manage our personal finances. If you’ve been on a financial slump for the past years and now ready to give your finances a do-over, make it a goal to dedicate 2019 for expanding your financial knowledge. Fortunately, Financial knowledge is within reach for everyone – from self-help books, audiobooks and e-books to Youtube videos and podcasts to listen on the go. But for today’s article, let’s focus on Financial Books that are easy-to-digest and guaranteed not to kill you with boredom. First on the list is a must-read if you want to go from flat-broke to financial badass. In this book, Financial expert Erin Lowry will help you deal with everyday money matters and situations that we all can relate to, like what to do when you’re out with friends and can’t afford to split the bill evenly, or how to get “financially naked” with your current boo, and so much more. This book is filled with hilarious true stories and simple advice that every clueless millennial needs to know. Personal finance is definitely a subject that most of us feel anxious and unhappy about. Also, it’s something that’s not fun to talk about. But that’s a different story in this book from Former Financial adviser Rachel Richards, where she puts humor and sass together with various topics about money to teach readers how to attain financial freedom. So if you’re ready to whip your finances into shape and have fun while doing so, this book is for you. Unlike the previous books mentioned, this one from Jen Sincero focuses on achieving financial abundance in a spiritual level. 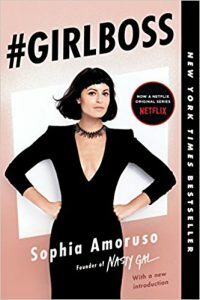 Here, she combines hilarious personal essays with concepts such as uncovering what’s holding you back from making money, tapping into your natural ability to grow rich, and more. Financial abundance begins with your mindset and in this book, the author will make sure that after you finish the last page, you will then be able to unlock your earning potential and get real results. This entry was posted in Budgeting, Expenses, Financial Freedom, Income, Investing, Planning. Bookmark the permalink.